The major fixer or teardown property at 2119 Fox Hills Dr., LA CA 90025 received a price reduction of 10.05% or $100,000, down to $895,000. The property was listed 41 days ago for $995,000 and this is the first price reduction of the current listing period. 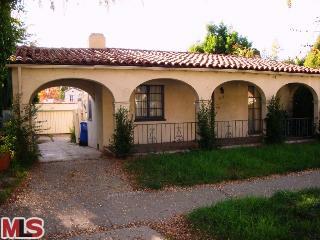 According to the MLS, the current home is a 2 bedroom / 1 bath, 1,240 sq ft home on a 5,401 sq ft lot. This home is being marketed as a teardown property with plans and permits pulled to build a 5BR+5.5BA, 4100 sq. ft. home with attached garage. Now the plans and permits expedites the building process by a few months and could be some value to a potential builder or homeowner. Additionally, there may be some extra value here because of the new mansionization ordinance in the city of Los Angeles which restricts build size. Under this new ordinance you would not be able to build a 4,000 sq ft home on this lot size. This value may exist assuming you can proceed with the current plans and permits.